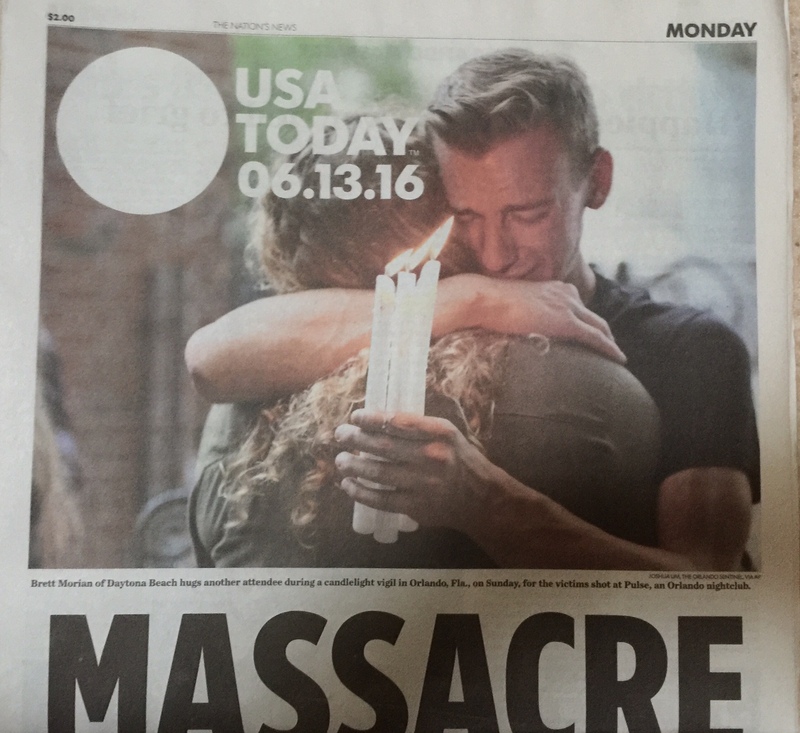 When many are saying that newspapers are on their way out, Gannett’s USA Today Network is saying something entirely different. With 108 different properties across the country, Gannett has brought all of its entities together to form one network that pools talent and resources to produce the most premium digital and print content around today. Joanne knows a thing or two about news content and news organizations as she began her career at the Wall Street Journal, ultimately becoming Deputy Managing Editor – the first woman to attain that post – and supervising coverage that won three Pulitzer Prizes. Today, she brings that expertise and knowledge to Gannett, having joined the team in January 2016. I spoke with Joanne recently and we talked about her excitement to be with a brand as far-reaching and broad-based as Gannett. And about the new structured network that joins all of its properties together. It was a most delightful and interesting look into the world of today’s newspaper – or news organization, as Joanne puts it. And Mr. Magazine™ agrees, after all, you can’t chase news on paper anymore – it just isn’t possible. And now please enjoy the Mr. Magazine™ interview with Joanne Lipman, Chief Content Officer, Gannett, Editor In Chief, USA Today Network. On whether her job has been what she expected or if there have been any surprises along the way: What’s been great is first of all, when I came in because USA Today Network was a brand new concept, I thought that part of my job would be convincing people that they needed to work together collaboratively across multiple newsrooms. Instead, what I found was a culture of collaboration that existed here and exists. The culture is quite extraordinary when you have journalists across multiple different publications, coordinating coverage, cooperating with one another. So, we’re able to accomplish so much more than any one of us could individually. On some of the priorities that have been uppermost in her mind since coming onboard: We’re focused on innovation and that includes video, social, mobile and virtual reality. Another priority is a budgeting and communications system to connect us. As I mentioned, this was a company made up of siloed organizations. Before I got here they created a unified CMS, so everybody is on a content management system. So, that’s a good step. But what we don’t have is a content budgeting system or a communications system that connects all of us. On people saying there is no future for newspapers: It’s funny; we don’t use the word newspaper here. We talk about our news organizations and our news sites, so we’re really focused on digital. Obviously, we still have print papers and obviously, the revenue for paper is still great, but our focus has really been on becoming digital-first. I’m located in Tysons and I’m right off the USA Today newsroom. 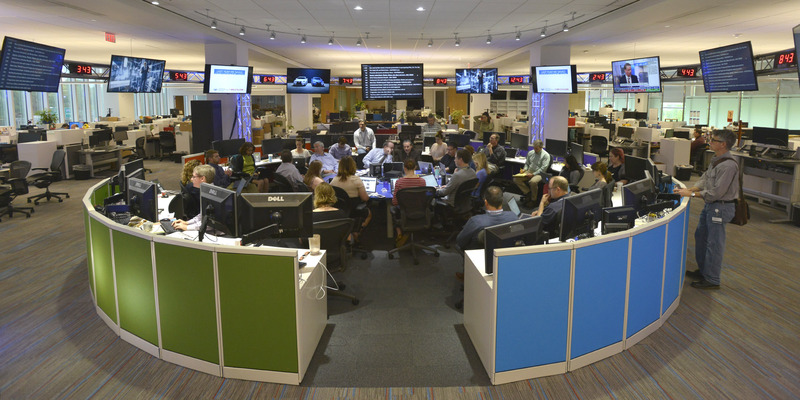 And USA Today under Dave Callaway and Larry Kramer, who’s the previous publisher, over the past four years really have made it digital-first and I’ve been in a lot of newsrooms, this is definitely the most digitally-oriented newsroom I have ever been in. On her vision for the printed paper: I think there is no question that we’re all moving more and more toward a digital future. So because of that I think the printed paper becomes more of a premium experience. And like I said, I would love for the printed paper to reflect more of the depth and excitement that you see digitally. So, the printed paper can also be a way to send the consumer back online to get even more of the information that we’re providing. On whom her audience is for the print product: In USA Today’s case, the print product has always been a newspaper for business executives and travelers, and that remains true. When you’re traveling, that’s what you pick up because that is the nation’s newspaper. In that way it’s a little bit like CNN; wherever you go in the world you turn on CNN because you know what you’re getting and they give you the information that you need. On why she thinks it took so long for newspaper people to realize that the word news and paper is an oxymoron: I think that really smart newspaper people have been thinking about this for a long time. I think it’s been difficult because of the economic model, I really do. The big issue has been that print dollars are important. You have your digital dimes and your print dollars. And so you have to weigh the economics of it. 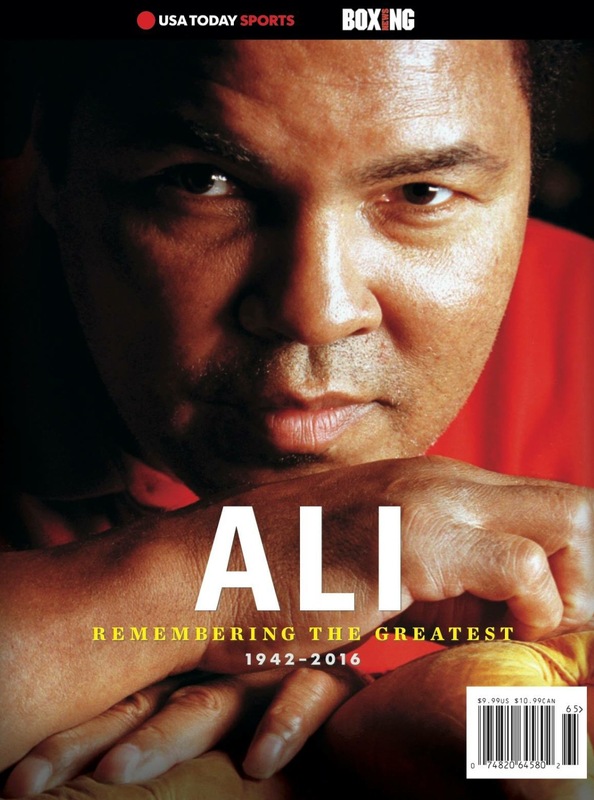 On the special interest publications USA Today is putting out on the market, such as the glossy magazine on Ali: I don’t think we’re doing any more than we ever did before. We tend to be very sparing when it comes to our special issues. We have regularly scheduled what we call “tab sections,” they’re not glossy, but they’re specials. The Ali Special magazine is highly unusual for us; we don’t do that frequently. The last one that I’m aware of, and I’ve only been here six months, but the last one that I’m aware of was several years ago with the death of Michael Jackson. On what motivates her to get out of bed in the morning: This is the most fun job that I’ve ever had. What I love about this is the fact that we have so much potential, there is so much that we can do with the journalism here. The idea that we have essentially a giant firehose of content now that we are a network, as opposed to a bunch of individual organizations, is exciting. So the idea of taking that firehose of content and taming it and thinking of all the different ways that we can go about slicing and dicing and using it; it’s a very creative job because you’re constantly thinking about the amazing talent that we have all over the country. On why we aren’t promoting journalism in a much better way than we used to: That’s a good question. On the one side, there’s the business model, which is clearly influx. And I think that’s a big piece of what we’re hearing. But I also think that one of the great things about being here with USA Today Network is what we are doing is – and I take no credit for this, because I came in after USA Network was invented by Bob Dickey, the CEO, and by his executive team, — but it’s such a smart idea. Every newsroom in America is resource-constrained, but when you put our 108 newsrooms together, with our 3,800 journalists, suddenly it feels expansive, a growing operation. If there’s an idea that we have, an idea that originates in any newsroom, no matter how small that newsroom is, we have the ability to execute that idea and support those journalists in that newsroom to get those ideas done. On whether we should continue teaching journalism and having journalism schools: We should continue teaching journalism, absolutely. And I see a lot of talented young people who want to go into journalism; it’s definitely tougher than it was when I started. There are probably more jobs, not newspaper jobs, but more jobs if you add in all of the blogs and the other various outlets where you might be a writer. I think the issue is that there are fewer well-paying jobs with insurance. There is plenty of freelance, low-paid, unpaid work out there, but it is tough. I look at young journalism students, and I look at the young people we’re hiring, who are fantastic, and you can see that it’s a tougher world for them than it was for me. On what someone might find her doing if they showed up unexpectedly to her home one evening: If you come after work, I generally go from the office to the gym. I guess you would find me at the gym. On what keeps her up at night: I’ve been hiring a lot. I came in as a new position and my team was not filled out, so I focused a lot on finding just the right people to hire and now my team is almost all in place, so I think I’m sleeping easier now than I have in a long time. And now the lightly edited transcript of the Mr. Magazine™ interview with Joanne Lipman, Chief Content Officer, Gannett, Editor In Chief, USA Today Network. Samir Husni: It’s been six months for you as chief content officer at Gannett and USA Today; has it been everything that you expected, or have you been surprised in anyway? Joanne Lipman: Let me back up for a moment and explain the background here; I think that will be useful. Gannett was a holding company and it was a holding company that owned USA Today and 92 other local news organizations. And they were all siloed; they all operated independently. And then one year ago, last summer, when the company did the split, broke into two, like News Corp and all these other companies have done; so all the broadcast properties went into a separate company called Tegna, and all of the print publications remained in Gannett. Fast forward to December and the executives here made the decision, Bob Dickey, the CEO and his executive team, made the decision that rather than being a company full of siloed news organizations, we would actually create a nationwide network, which became the USA Today Network. And I was brought onboard in January 2016 to be chief content officer of Gannett and editor in chief of USA Today Network. We bought Journal Media Group, so now we have 108 properties. What USA Today Network news did was go from being 108 siloed, individual news organizations to a nationwide network with 3,800 journalists, with over 100 million unique visitors per month, and over one and half billion page views per month, and the demographics are phenomenal. So suddenly you go from being individual resource-constrained news organizations to a nationwide network where anything is possible. 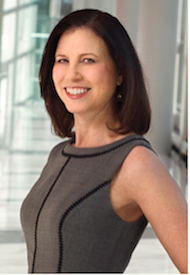 Joanne Lipman: What’s been great is first of all, when I came in because USA Today Network was a brand new concept, I thought that part of my job would be convincing people that they needed to work together collaboratively across multiple newsrooms. Instead, what I found was a culture of collaboration that existed here and exists. The culture is quite extraordinary when you have journalists across multiple different publications, coordinating coverage, cooperating with one another. So, we’re able to accomplish so much more than any one of us could individually. That’s been the most rewarding part of this and I’ve talked about the three priorities that I have. When I came in from day one I said there are three priorities that I have for this year and the first one is strengthening the network. And on that one I have to say that we are ahead of my expectations. I could give you a couple of examples. We’ve had some really topnotch investigative work and that’s with the USA Today Network, the collaboration between USA Today and various local publications. We had one in February about teacher’s misconduct. With the teacher misconduct work, we looked at data across all 50 states for teacher’s who had been fired for a cause; for physical abuse or sexual abuse and we found that they were able to get jobs in other states because of flawed background checks. And we were able to get the data for all 50 states. USA Today did a major, big investigative series on that. But every market was able to localize it because they gave the data to all of the local markets. So, they could all localize their own stories. And that led to all kinds of state reforms and new legislation; a nationwide investigation. And that made us say, wow! That was the first time that we’d ever done an investigation where it ran in every single property. And we followed that a month or two later with an investigation into lead in tap water. Again, we got data from all 50 states and we found that there were 2,000 communities across all 50 states that had toxic levels of lead in their drinking water. Again, we were able to do a big national investigation that ran in USA Today that was picked up by every television network. And because we had the data from all 50 states, we were able to localize it and we had more than 80 different individual, localized pieces that ran in our local markets, in addition to that national investigation. I feel like we’re just tapping into the power of what this network can be and we saw how quickly we’re able to do that, and then you think: OK, going forward, if we’re able to do that off the bat, where can we go next? And that’s really exciting. The one other thing that I would mention is that we’ve done an investigative series called “Trump and the Law” that’s also gotten quite a bit of attention because all of the media describe Trump as litigious, so what we did is ask the question, how litigious is he? And our data journalists dug into this and ultimately found that he’d been involved in 3,500 lawsuits. By collecting that database of lawsuits, we were able to look and see what the lawsuits were involving and that helped us dramatically, because several stories, including one that you probably heard about, which was looking at the frequency of his not paying people like plumbers, painters and carpenters. There were multiple lawsuits along those lines. Samir Husni: You said you came in with three expectations; one, the USA Today Network, what were the other two? Joanne Lipman: The second one is focused on innovation and that includes video, social, mobile and virtual reality. On the virtual reality piece, we actually had some news very recently where we created the first VR news program; it’s called “VRtually There” and we just debuted it at Cannes last week. We’ll be putting that into production in the next couple of months, so that’s exciting. That was actually another one of my upsides that I was speaking about earlier. When I came in, I asked our chief technology officer about it. I was seeing The New York Times and others talking about virtual reality, so I wondered if we’d thought about it. He said that we’d been doing virtual reality for two years and in fact, the National Press Club gave its first award for virtual reality and it went to the Des Moines Register, one of our properties. The Des Moines Register had done a piece on farming two years before. So, we were ahead on that and I didn’t realize it, but I think that’s partly because Gannett has had such a low profile and such a modest ethic that we didn’t talk about ourselves. We’re continuing on that virtual reality course and I recently hired a senior director of social media, who’s looking at our social strategy and I am currently interviewing for a senior director of video who will be reporting directly to me. So, we’re fast forwarding on those issues. And then my third priority is a budgeting and communications system to connect us. As I mentioned, this was a company made up of siloed organizations. Before I got here they created a unified CNS, so everybody is on a content management system. So, that’s a good step. But what we don’t have is a content budgeting system or a communications system that connects all of us. As a result, all of the work that we’re doing requires endless rounds of emailing and yammering, you name it. So, there’s a lot of work when it comes to us communicating with one another. So, I brought in Jim Pensiero from the Wall Street Journal. Jim worked with me at the Wall Street Journal for 30 years and he led the copy desk. He’s a fantastic journalist, but he was also the guy who understood how to do these kinds of systems and the CMS’s. He was the one who unified the Wall Street Journal in Asia and Europe and he put all of that together. So, he came in with me and he’s leading our effort to put in place a budgeting communications system that will scale across all 108 properties. Samir Husni: You hear people saying all of the time that there’s no future for newspapers. Joanne Lipman: It’s funny; we don’t use the word newspaper here. We talk about our news organizations and our news sites, so we’re really focused on digital. Obviously, we still have print papers and obviously, the revenue for paper is still great, but our focus has really been on becoming digital-first. I’m located in Tysons and I’m right off the USA Today newsroom. 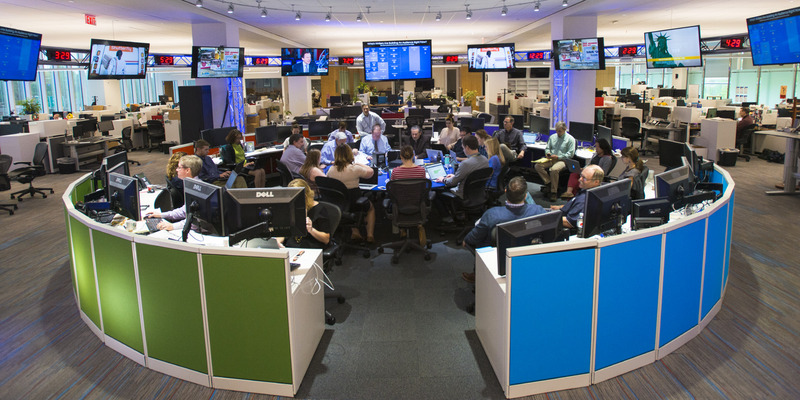 And USA Today under Dave Callaway and Larry Kramer, who’s the previous publisher, over the past four years really have made it digital-first and I’ve been in a lot of newsrooms, this is definitely the most digitally-oriented newsroom I have ever been in. For example, most newspapers will have their morning meeting at 10:00 or 10:30 in the morning, sometimes even 11:00 a.m. because they’re thinking about the paper. And most newspapers still do that. At USA Today it starts at 8:30 in the morning, everybody is up and running, and there’s no discussion about what section does this or that go in, it’s all about the digital piece; it’s all online. And it really is run like a digital news organization. If you spend a little bit of time on the USA Today site you’ll see that it’s really very robust. In fact, the digital operation is so robust that one of the things that I hope to do going forward is I would like to see more of the digital variety that can be done. There are all kinds of interesting and in depth things and fun stuff on our site now. It really has a lot of texture and depth, and I’m actually hoping that we can move the print product in that direction to reflect the wealth of content that we have online. Samir Husni: I think we are the only English-speaking country that still includes the word “news” in its paper. Most of the other countries call it journal or daily; if you were to write a prescription for the future of the printed paper, do you see USA Today as the preferred medication for the future’s solution? What’s your vision for the printed paper? Joanne Lipman: I think there is no question that we’re all moving more and more toward a digital future. So because of that I think the printed paper becomes more of a premium experience. And like I said, I would love for the printed paper to reflect more of the depth and excitement that you see digitally. So, the printed paper can also be a way to send the consumer back online to get even more of the information that we’re providing. One of the things that you do see in print, and I think this true everywhere, I know it’s true with my friends at The New York Tines and the Washington Post, there is something about print that is still very, very compelling. When you have the big interview with the politician or the world leader; the celebrity, the first thing they always ask is will it appear in print? I don’t want it to disappear online. So, there is still a perception of premium with print. I think that’s something that we can think about going forward. But we all are really focused on a digital future because that is where we’re all going. Samir Husni: You saw the most recent Reuters study that not only are the millennials getting their news from the web, but also the 55+ audience. So, who’s your audience for the print product? Joanne Lipman: In USA Today’s case, the print product has always been a newspaper for business executives and travelers, and that remains true. When you’re traveling, that’s what you pick up because that is the nation’s newspaper. In that way it’s a little bit like CNN; wherever you go in the world you turn on CNN because you know what you’re getting and they give you the information that you need. Digitally it’s interesting, if you look at our digital audience, which is over 100 million, we actually over index on a couple of groups. One is millennials. We have a very robust millennial audience; more millennials that Vox or Vice. But we also do incredibly well with C-suite executives. We get more C-suite executives than the Wall Street Journal or The New York Times. One of the things that we talk about here is we know that these are both audiences that value and come to our content, so we think about being a little more purposeful when it comes to what we’re providing to those audiences. We think about that in terms of coverage and in other sorts of things as well. When we talk about innovation, we talk about virtual reality and many other innovations. 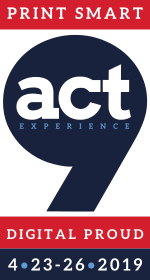 We talk about events; there are a lot of ways to connect with our audience. Samir Husni: Why do you think it has taken newspaper folks so long to discover what you were just talking about? Or do you disagree with me? Joanne Lipman: It’s funny, one of the people that I brought in here, John Brecher, who worked with me at the Wall Street Journal; he was my first boss as an editor. He ran page one; he had this unprecedented string of seven Pulitzer Prizes at the Wall Street Journal; the guy is a genius. And he first hired me onto page one; I want to say 20 years ago. More than 20 years ago. Joanne Lipman: There was no Google then, nothing, certainly no Facebook. So, I think that really smart newspaper people have been thinking about this for a long time. I think it’s been difficult because of the economic model, I really do. The big issue has been that print dollars are important. You have your digital dimes and your print dollars. And so you have to weigh the economics of it. But I also think that publications that have done away with print too quickly have suffered. Look at what happened in New Orleans; look at what happened when Newsweek Magazine went out of print and then tried to come back in. There really is a value to that print product and those that have tried to move out of it too quickly have really suffered, in terms of loss of brand and loss of value, even if they provide good content. 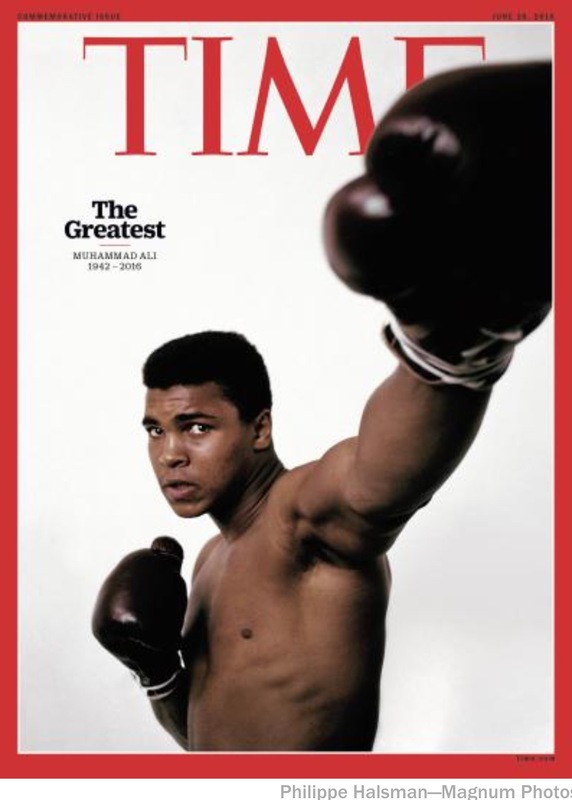 Samir Husni: I saw your Tweet on the glossy that USA Today is doing on Ali and all of the other specials that you have coming out; how do you differentiate, because most of the public, the minute that they hear print, they think newspapers. So, how are you making the case for all of these SIP’s that you’re producing and for all of these special interest publications? You’re not necessarily flooding the market like Time Inc., but you’re putting a lot of them out. Joanne Lipman: I don’t think we’re doing any more than we ever did before. We tend to be very sparing when it comes to our special issues. We have regularly scheduled what we call “tab sections,” they’re not glossy, but they’re specials. 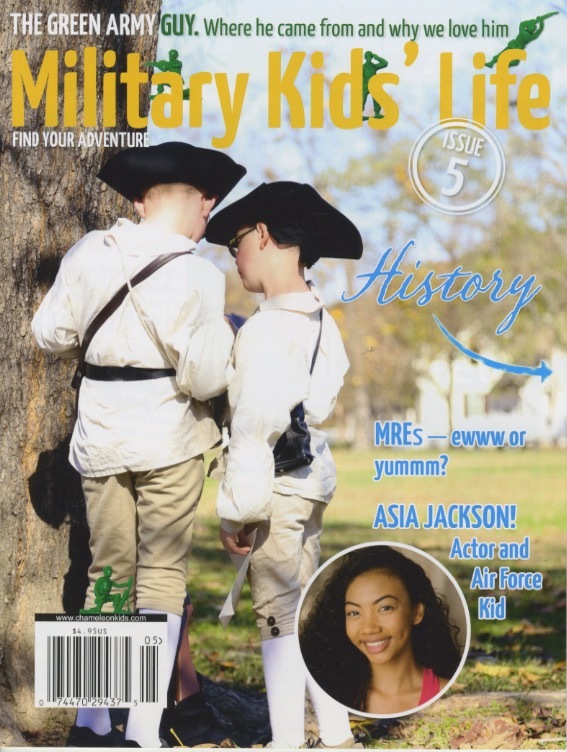 One on national parks; one on Black History month, so we have a regular schedule with these and they will appear on newsstands. The Ali Special magazine is highly unusual for us; we don’t do that frequently. The last one that I’m aware of, and I’ve only been here six months, but the last one that I’m aware of was several years ago with the death of Michael Jackson. Joanne Lipman: This is the most fun job that I’ve ever had. What I love about this is the fact that we have so much potential, there is so much that we can do with the journalism here. The idea that we have essentially a giant firehose of content now that we are a network, as opposed to a bunch of individual organizations, is exciting. So the idea of taking that firehose of content and taming it and thinking of all the different ways that we can go about slicing and dicing and using it; it’s a very creative job because you’re constantly thinking about the amazing talent that we have all over the country. And then you think about how we can put these different talents together and you can come up with some really cool ideas. I’ll give you one example. One of my deputies is a guy named Randy Lovely. 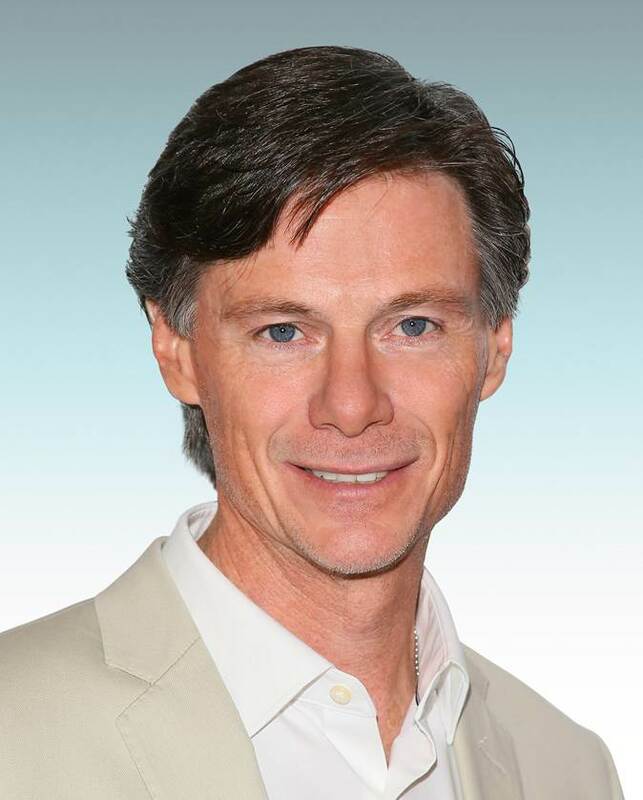 He is the VP of community content and came out of the Arizona newsroom, which he ran for many years. So, he knows people throughout the network really, really well. And we were trying to solve a very interesting problem. We had a guy in Jackson, Mississippi, a reporter who had a really great idea for a video series. Now the Jackson property is a small property. It alone did not have the resources to do a video series. So, Randy called around to some of the editors in the network and the editor of the Des Moines Register said that he had a fantastic editor that I’m going to lend to that reporter to help with that series. And an editor at USA Today said that he would lend his top videographer for that series, so now we have this group that has been pulled from our different properties and has converged together in Jackson, Mississippi to create this video documentary series. Everyday there are things like that happening with 3,800 journalists, all with different talents, and they’re not all bunched up in one place; they’re all in different properties. And that’s what gets me out of bed in the morning. I love the excitement of thinking about where we can take this network. And how we’ve been able to take it so far, so fast, but there’s so much more to do. Samir Husni: What you’re describing is a world where we have better journalism than ever, yet all we ever hear is that journalism is doomed and we should look at digital and TV and all of the cable networks. Why aren’t we promoting the future of journalism in a much better way than we used to? Joanne Lipman: That’s a good question. On the one side, there’s the business model, which is clearly influx. And I think that’s a big piece of what we’re hearing. But I also think that one of the great things about being here with USA Today Network is what we are doing is – and I take no credit for this, because I came in after USA Network was invented by Bob Dickey, the CEO, and by his executive team, — but it’s such a smart idea. Every newsroom in America is resource-constrained, but when you put our 108 newsrooms together, with our 3,800 journalists, suddenly it feels expansive, a growing operation. If there’s an idea that we have, an idea that originates in any newsroom, no matter how small that newsroom is, we have the ability to execute that idea and support those journalists in that newsroom to get those ideas done. Samir Husni: So, you have no fear about the future of journalism; we should continue teaching journalism and having journalism schools? Joanne Lipman: We should continue teaching journalism, absolutely. And I see a lot of talented young people who want to go into journalism; it’s definitely tougher than it was when I started. There are probably more jobs, not newspaper jobs, but more jobs if you add in all of the blogs and the other various outlets where you might be a writer. I think the issue is that there are fewer well-paying jobs with insurance. There is plenty of freelance, low-paid, unpaid work out there, but it is tough. I look at young journalism students, and I look at the young people we’re hiring, who are fantastic, and you can see that it’s a tougher world for them than it was for me. One of the benefits that we have with the USA Today Network is that we have 3,800 jobs, all over the country, real jobs, full-time with insurance. So it’s nice to be in a company that offers that. But the one thing that I would say to students, and I bet you say this to your students all of the time, is there seems to be a bias among journalism students that they think they have to go to New York or D.C. or maybe L.A. Somebody crunched some numbers and found that one in five journalists lives in either New York, D.C. or L.A.
We were really curious when we saw that, so we crunched our own numbers. And we found that for Gannett, for USA Today Network, that number is one in 39. So, the vast majority of our journalists are not on the coast, they’re in the middle of the country. And I think that’s a big benefit because it allows us to cover the country in a way that others cannot. We’re boots-on-the-ground in big cities and small towns and in red states and blue states so that we can understand the electorate better than the national news organizations. But if you look at that point of view from students coming out, there are a lot of opportunities that aren’t necessarily in New York or D.C. or L.A.
Samir Husni: If I showed up at your house one evening unexpectedly, what would I find you doing? Reading a printed newspaper, or your iPad, watching television, or something different? 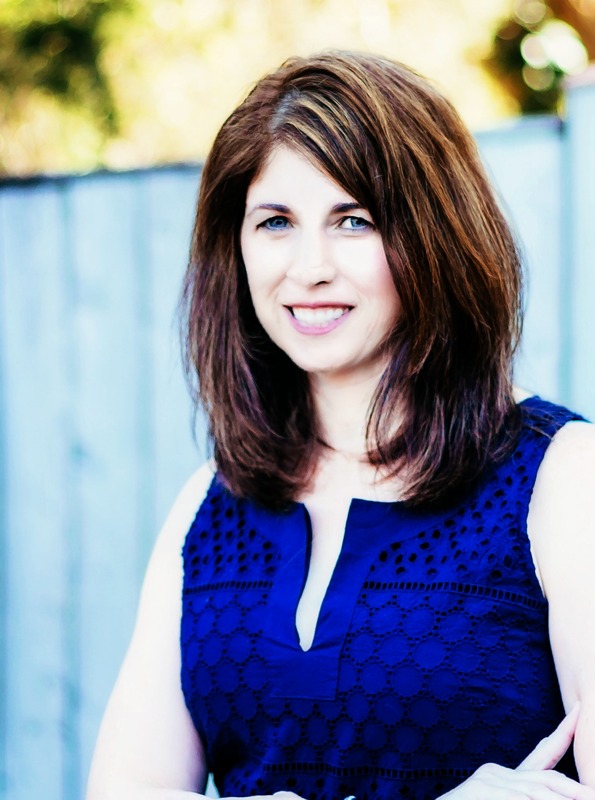 Joanne Lipman: (Laughs) I live in New York City, but my office is in Tysons, Virginia. So, I have a little apartment two minutes from the office that I live in during the week, and I go back home to my family on the weekends, because my kids are now out of school, so we’re now empty nesters. So, if you come after work, I generally go from the office to the gym. I guess you would find me at the gym. Joanne Lipman: There are no really mega issues; I feel really good about this position and the company and the leadership. I feel really, really good about the leadership. I’ve been hiring a lot. I came in as a new position and my team was not filled out, so I focused a lot on finding just the right people to hire and now my team is almost all in place, so I think I’m sleeping easier now than I have in a long time. 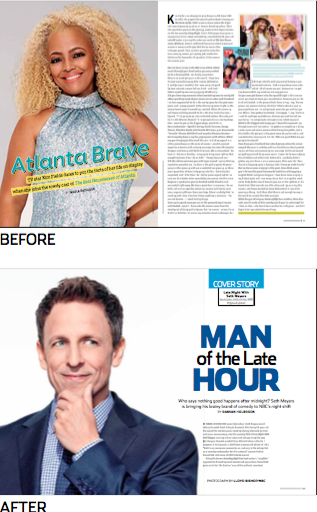 TV Guide: “Reengineered” For Today’s Television Audience And Industry– The Mr. Magazine™ Interview With Paul Turcotte, President/Publisher, TV Guide. “Absolutely. I’m one of the few people who doesn’t focus on the delivery. I think that if we’re providing a service that people need; in this particular case, I actually believe print is the most effective way to curate this information. I find that this is an example where technology takes longer than it does the printed service. It’s easy to flip open the page, do the read; this is what’s worth watching; done. I can do that before you can even open your app.” Paul Turcotte (on whether he believes there is a future for the printed magazine). There is one thing in common between yours truly and TV Guide magazine. We were both born in 1953. TV Guide became the go-to source for anything television related, from daily programming to previews of each new season’s shows. As for me, you know the rest of the story. On a recent trip to New York City with my students, we were privileged to visit with the folks at TV Guide in their headquarters on the14th Floor, 50 Rockefeller Place. The place was buzzing. The plans to “reengineer” the magazine were going full-fledge. Dummy designs filled the walls of the room and editors, designers and president/publisher Paul Turcotte were there. They introduced the new designs, the new sections, and all the additional content the new magazine will have. Ideas were exchanged, comments made and the necessity of a printed television guide in today’s marketplace was debated thoroughly. And it was unanimous; the need for a true “guide” was an absolute must. Brits Tony Frost and Paul Aarons were brought in to work closely with TV Guide editor in chief Nerina Rammairone and designer Kevin Newman. The end result is now on the newsstands. So go pick up a copy of the new TV Guide and then read my review and interview with its president and publisher. Today, in the digital world in which we live, the need for the particular type of television guide of yesterday has diminished with programming information at the touch of a finger for most of us. However, the need for a guide that actually “guides” us through the maze of infinite channels and information, be it entertainment or actual news, has never been more essential. And with the reengineering of today’s TV Guide, that’s just what we have. Paul’s idea behind the “reengineering” of the new TV Guide seeks to sort through all of the confusion and turmoil that we have on our large-screened, digital TV devices these days. His guideline and roadmap is made to provide a guide to “What’s Worth Watching;” saving the reader’s time and curating the many programs on television is what the new TV Guide aims to do. My first reaction has been more than positive starting with the change of the iconic logo from the cornered television screen of the days long gone, to the flat edged television screen. Call it catching up with the times. I spoke with Paul this week about the newly “reengineered” TV Guide, a word that he introduced during our conversation and that I liked immediately. My first question to him was, “Can this magazine be saved?” A line I paraphrased from the famous Ladies’ Home Journal magazine section, “Can This Marriage Be Saved.” The focal point of the redesign, according to Paul, is service, service to the industry, but more importantly service to the readers, another characteristic trait that Mr. Magazine™ likes. Providing a true television guide that leads the reader down the overcrowded programming highway and points the way to the shows actually worth watching is worth a goldmine in today’s muddled television roadmap. The profusion of information and channel-surfing that one must go through to find a program that interests them to watch is next to impossible without at least 15 minutes of their own research. But the reengineered TV Guide does that job for you. And Paul is as excited as a new father about his baby. As well he should be. It’s a wonderful change and a positive one for the magazine’s future. 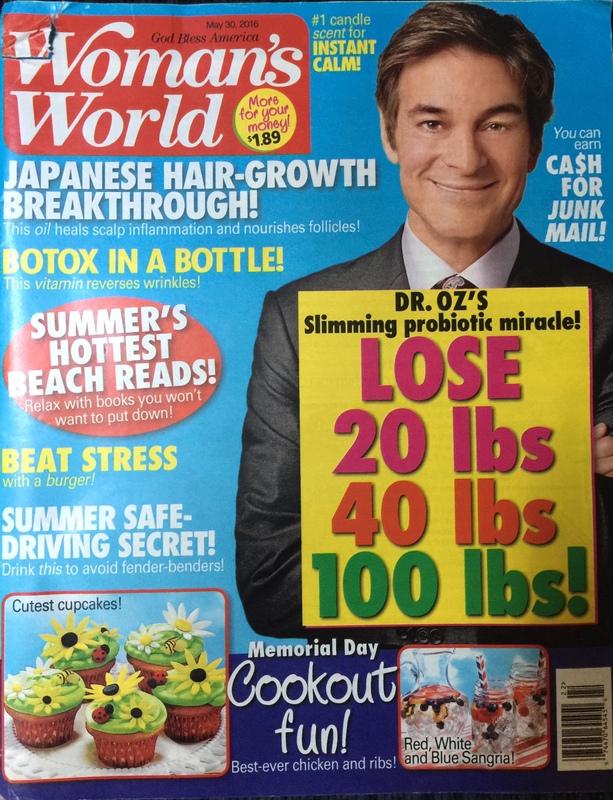 So, I hope that you enjoy this journey through the land of TV Guide – because it’s a given that you have a great team “guiding” you to what’s worth watching…The Mr. Magazine™ interview with Paul Turcotte, President and Publisher, TV Guide. On whether he believes that TV Guide can be saved: Definitely. And I have a very specific reason I believe that to be true. It’s not the magazine, it’s the industry. Television, programming and content are such a hot and vibrant industry right now that the service we provide is what is still viable. On the role he sees the “new” TV Guide playing in the market within the next year: The redesigned, or as I like to say, the reengineered magazine is now more reflective and useful, in terms of how people are consuming content today. First of all, we have more real estate committed to the service element of TV Guide, which is helping people understand what’s worth watching. On the curation aspect of the magazine: Yes, it’s a curated Guide and we need that. So, we are focused more on a curation; we’re using our authority and our knowledge to provide viewer’s with an answer to the question: what is the best programming available right now? On bringing new talent onboard, such as Tony Frost and Paul Aarons from the U.K.’s OK magazine: Yes, Paul Aarons. One of the things that we wanted to do was to ensure that we achieved the best results for our readers, but also to bring in outside perspective. We brought in Tony Frost and Paul Aarons to guide (no pun intended) and help ensure that we were looking at the reengineering from all points of view. On the biggest stumbling block he’s had to face during the magazine’s reengineering and how he overcame it: That’s a good question. 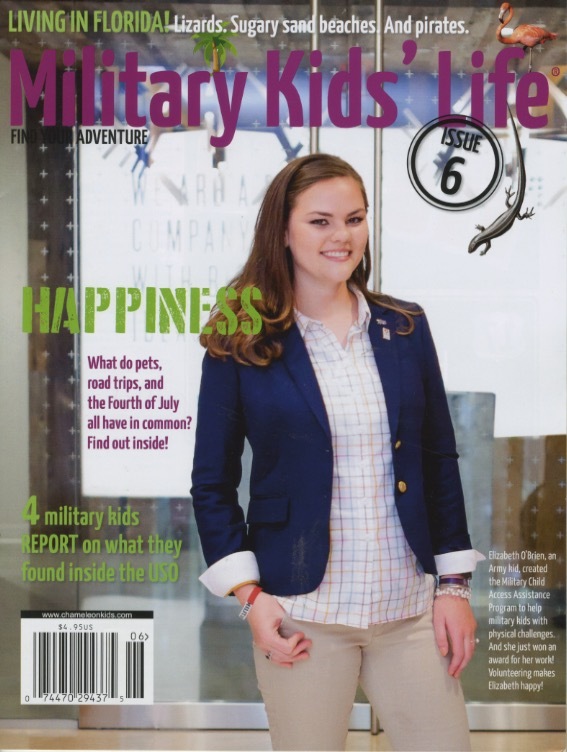 I don’t know that I would call it a stumbling block, but my focus in the reengineering of the magazine was on identifying the market needs and bringing those to the attention of the new team. Again, it was focused on recognizing the patterns and behaviors of consumers today. On the most pleasant moment he had during the redesign: It was like any vision, as the magazine started to unfold and we started to see the redesign, we recognized that we in fact are answering a lot of the basic needs. We have run the reengineered magazine by some of the top network executives and the response has been overwhelmingly positive. On his expectations for the magazine: That’s a great question. For newsstand, I think what’s going to make me happy frankly is – we get pretty decent numbers on newsstand; we want to make sure that, and obviously I want to see our numbers jump, but it’s more important to me that we’re positioning the magazine correctly and what I want is for people to respond to the service elements of the magazine, which is more information on streaming and more information on movies. On what motivates him to get out of bed, excited to go to work: Through my career I’ve learned what I love to do. And I love fixing; I love responding to a market. And as I mentioned at the beginning of our interview, the television industry is on fire right now. I clearly see the need for the service that we’re providing. On whether he is a firm believer in the future of the printed magazine: Absolutely. I’m one of the few people who doesn’t focus on the delivery. I think that if we’re providing a service that people need; in this particular case, I actually believe print is the most effective way to curate this information. I find that this is an example where technology takes longer than it does the printed service. It’s easy to flip open the page, do the read; this is what’s worth watching; done. I can do that before you can even open your app. On what someone would find him doing if they showed up unexpectedly at his house one evening: You’ll likely find me at home with my son and we’ll have sports on television and the BBQ going and there are certainly magazines all around, because I am a big, big fan of, what I call, the guided tour, I think a good editor and a good magazine constantly brings you points of view that you’re familiar with, but they share new insights that you hadn’t thought of. On anything else that he’d like to add: I think right now the biggest opportunity for us is, and maybe at the same time a challenge, because usually your challenge is your opportunity, we have a brand that is so well-recognized, but with that comes everybody’s own personal experience with the brand, so our hope is that we can take advantage of the brand awareness, but also get permission for people to look at this for the first time all over again. On what keeps him up at night: (Laughs) The last thing I said – how do I get the industry to deserve us more? (Laughs again) Honestly, what’s fun about this industry, especially right now, is there’s not a week, or sometimes even a day, that goes by that there’s not a new program introduced that we believe we can support and help, and so it definitely keeps my passion burning at night, which is – how can we help ABC introduce this new show; what else can we do; how else can we participate? And the industry is so vibrant that there’s a new challenge every day. And I love that. And now the lightly edited transcript of the Mr. Magazine™ interview with Paul Turcotte, President and Publisher, TV Guide. Samir Husni: You’ve been a publisher at Men’s Health, a publisher and chief revenue officer at a daily newspaper; suffice it to say, that you have been in the media business for a long time. Do you think TV Guide be saved? Paul Turcotte: Definitely. And I have a very specific reason I believe that to be true. It’s not the magazine, it’s the industry. Television, programming and content are such a hot and vibrant industry right now that the service we provide is what is still viable. I think that there are older titles that’s time has come and gone, but there’s never been a better time or a bigger need for guidance about what’s worth watching on television than there is right now. So, that’s why I’m encouraged. Samir Husni: What’s the plan? 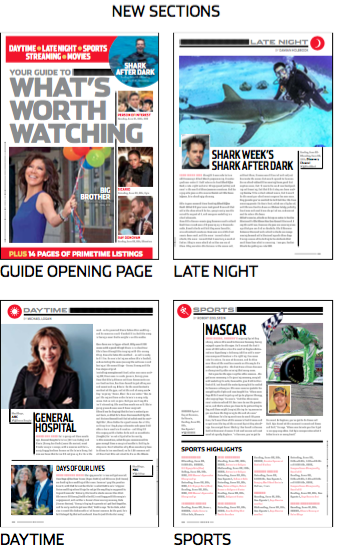 As you introduce the “new” TV Guide, how do you envision the magazine and the role it will play? After 63 years, we have more television channels than ever before. I’m a firm believer that we need more guidance today because of all of those channels and the fact that we’re bombarded by information. So, tell me where do you see TV Guide fitting into that picture in the upcoming year? 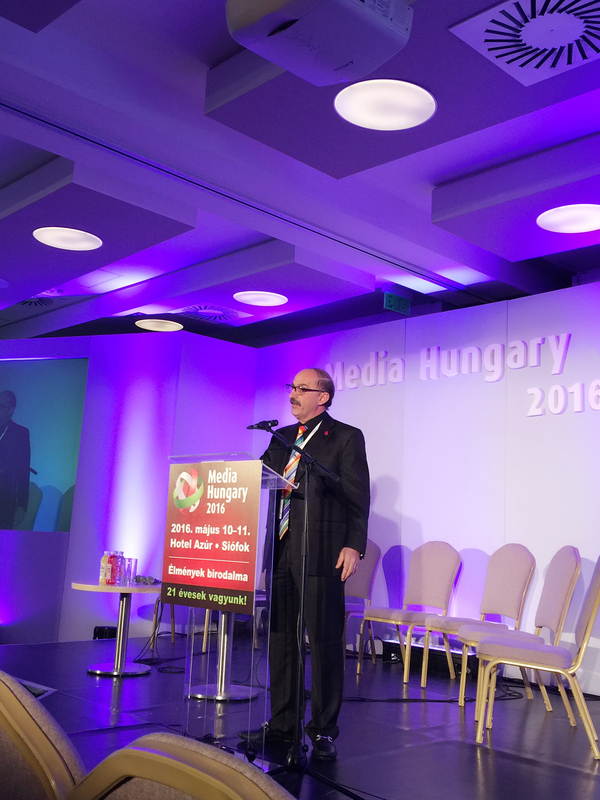 Paul Turcotte: The redesigned, or as I like to say, the reengineered magazine is now more reflective and useful, in terms of how people are consuming content today. First of all, we have more real estate committed to the service element of TV Guide, which is helping people understand what’s worth watching. 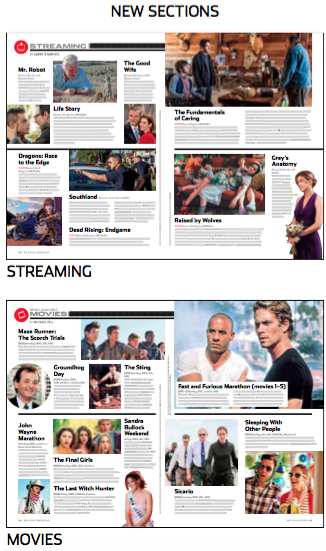 So, whether it’s a new streaming section that we have of what’s newly available or the movies available through the various over-the-top services, we’re providing guidance for what’s great to watch. There are 1,500 television shows on networks right now and there are over 400 scripted television shows; the question is which ones are worth watching and that’s what we’re doing with the new TV Guide. We’re combining both a service element with the authority that is TV Guide to provide very useful information for people’s viewing habits. And the part that I’m encouraged by is that there are 120 million households watching television. Networks alone have over 40 million domestic subscribers, so people are investing in programming. We have the opportunity to help them enhance that. Samir Husni: I believe that curation aspect is what’s worth watching and it definitely got my attention; finally somebody is thinking of the magazine as more of a “guided” Guide than just a yellow pages Guide. Paul Turcotte: Yes, it’s a curated Guide and we need that. So, we are focused more on a curation; we’re using our authority and our knowledge to provide viewer’s with an answer to the question: what is the best programming available right now? But I think you’ll also see that we’re also focusing more on service and the quality of programming than we are on the celebrity of the industry. We literally edit the magazine for people who thoroughly enjoy programming, not the celebrity of the show. We don’t talk about the gossip of who’s dating whom; it’s all about what’s the best programming out there across all platforms right now. Samir Husni: I’ve noticed that you’ve also brought some new talent onboard. In that whole process of “reengineering,” and by the way I love that word, you’ve brought Tony (Frost) and the creative director from OK from the U.K.
Paul Turcotte: Yes, Paul Aarons. One of the things that we wanted to do was to ensure that we achieved the best results for our readers, but also to bring in outside perspective. We brought in Tony Frost and Paul Aarons to guide (no pun intended) and help ensure that we were looking at the reengineering from all points of view. And I think the result of that is very positive. 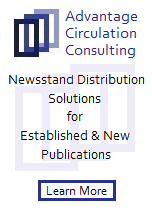 Every page has been analyzed, researched and overanalyzed to make sure that we’re actually providing the direction and the service to our readers in the most utilitarian format. And also in what I think is intuitive; it’s very easy with so much content to overthink things and a lot of what we’re trying to do at the magazine is just to have it be intuitive and friendly. Samir Husni: You’re known in the industry, and correct me if I’m mistaken, as a hands-on publisher. You’re a hands-on CRO; you see everything, every word and picture. You’re involved to that extent. Paul Turcotte: I am, yes. Samir Husni: What has been the biggest stumbling block that you’ve had to face during the reengineering of the magazine and how did you overcome it? Paul Turcotte: That’s a good question. I don’t know that I would call it a stumbling block, but my focus in the reengineering of the magazine was on identifying the market needs and bringing those to the attention of the new team. Again, it was focused on recognizing the patterns and behaviors of consumers today. What we did was from the marketing point of view, meaning the market industry point of view and also from our readers point of view; we wanted thorough knowledge in how they were consuming content and how they were using the magazine? And also what was frustrating people right now and how we could help with that. I would say that my biggest role in the reengineering was properly positioning the challenge to our editorial team and to Tony and Paul so that they could come back with effective answers to the market needs. So, that’s what we did. We identified what were the industry needs and what viewers really needed right now. As an example we are introducing a new section on movies and we recognize how challenging it is to navigate through the current delivery systems to find a movie worth watching. And we spent a lot of time on what is the best way to present the information and we’re really excited about it. And it shows in the way that we’ve laid out that service to our readers. Samir Husni: What was the most pleasant moment that you had during this reengineering? Paul Turcotte: It was like any vision, as the magazine started to unfold and we started to see the redesign, we recognized that we in fact are answering a lot of the basic needs. We have run the reengineered magazine by some of the top network executives and the response has been overwhelmingly positive. And for me, the most rewarding part is watching the team come together and feeling really good about the work they’re doing. As a unit and an organization, we’re really excited about what we’re delivering. Samir Husni: As the reengineered magazine hits newsstands soon, what are your expectations? What will put you over-the-top happy and think: yes, they got it? Paul Turcotte: That’s a great question. For newsstand, I think what’s going to make me happy frankly is – we get pretty decent numbers on newsstand; we want to make sure that, and obviously I want to see our numbers jump, but it’s more important to me that we’re positioning the magazine correctly and what I want is for people to respond to the service elements of the magazine, which is more information on streaming and more information on movies. On our cover, we’re providing more service elements there too for our call-outs. We are telling about curation for movies, more information on streaming and also more information on what’s worth watching. So, I’m hoping that people will respond to that side of the new magazine. Samir Husni: You’ve had a multimedia career, and not only media, but the events business too. What motivates you today to get out of bed, excited and ready to get to the office and go to work? Paul Turcotte: Through my career I’ve learned what I love to do. And I love fixing; I love responding to a market. And as I mentioned at the beginning of our interview, the television industry is on fire right now. I clearly see the need for the service that we’re providing. I’m very aware of our history and am intrigued by the challenge of taking, what I think, is arguably the most successful magazine in the history of publishing and reinvigorating it and serving a whole new generation, but serving it the way that it needs to be served today. And I’m enjoying this work as much as I’ve enjoyed anything over the years. Samir Husni: Do I take it then that you’re a firm believer in the future of the printed magazine? Paul Turcotte: Absolutely. I’m one of the few people who doesn’t focus on the delivery. I think that if we’re providing a service that people need; in this particular case, I actually believe print is the most effective way to curate this information. I find that this is an example where technology takes longer than it does the printed service. It’s easy to flip open the page, do the read; this is what’s worth watching; done. I can do that before you can even open your app. Samir Husni: (Laughs). Excellent point. Samir Husni: If I showed up at your house one evening unexpectedly; what would I find you doing; reading a magazine, watching television, reading your iPad, or something else? Paul Turcotte: You’ll likely find me at home with my son and we’ll have sports on television and the BBQ going and there are certainly magazines all around, because I am a big, big fan of, what I call, the guided tour, I think a good editor and a good magazine constantly brings you points of view that you’re familiar with, but they share new insights that you hadn’t thought of. So, I’m probably a classic multitasker. The game is on TV; I’ve got my magazine going and there’s a lot of activity in the home. Paul Turcotte: I think right now the biggest opportunity for us is, and maybe at the same time a challenge, because usually your challenge is your opportunity, we have a brand that is so well-recognized, but with that comes everybody’s own personal experience with the brand, so our hope is that we can take advantage of the brand awareness, but also get permission for people to look at this for the first time all over again. 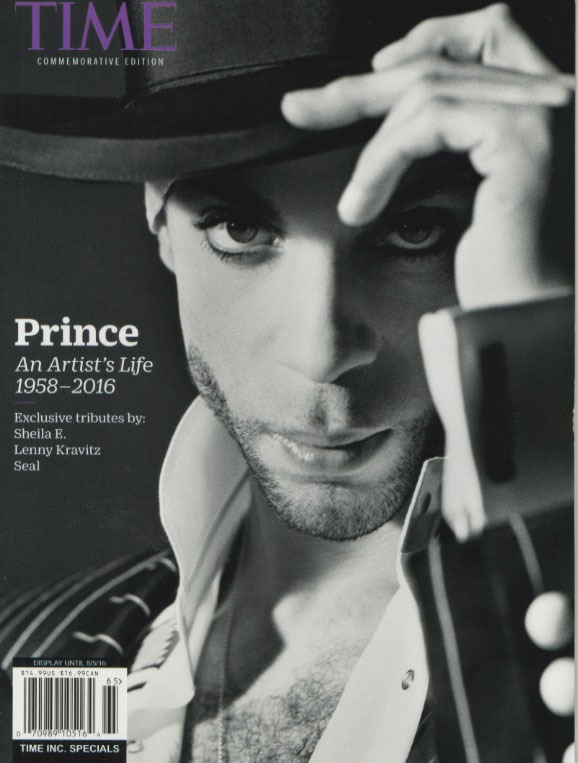 Samir Husni: And we’re not talking about selling eight million copies on the newsstands? Paul Turcotte: No, we’re not. If we’re doing 100,000 copies on newsstand, that’s a good story for us. And you asked before about my expectations; I would add that for the reader I hope to appeal to someone who watches television intentionally, not just passively. And I want the magazine to genuinely be of service to that reader. And on the business end, an old boss and now a mentor of mine, Richard Extract, once told me: an industry gets the magazine it deserves. So, my hope is that we’ve provided a magazine for the industry that it now believes supports them and they in turn jump back onboard and support us. We hope that we’re providing the magazine that the industry deserves. Paul Turcotte: (Laughs) The last thing I said – how do I get the industry to deserve us more? (Laughs again) Honestly, what’s fun about this industry, especially right now, is there’s not a week, or sometimes even a day, that goes by that there’s not a new program introduced that we believe we can support and help, and so it definitely keeps my passion burning at night, which is – how can we help ABC introduce this new show; what else can we do; how else can we participate? And the industry is so vibrant that there’s a new challenge every day. And I love that. Samir Husni: That’s the amazing thing; when we had three television channels, almost everybody knew what they wanted to watch and at what time. Now, with the numbers that you shared with me and the number of channels that we have available, we spend more time searching. Paul Turcotte: And it’s interesting, there is a, I think Nielsen stat, that states over 50 percent of television viewers report that at least once a day they cannot find something worth watching on television. Once a day. And that’s the opportunity for TV Guide. That’s why I think the future is very bright. The need in the marketplace is there; our job is to serve that need. Not many things have the power to make people stop and appreciate what’s in front of them nowadays. 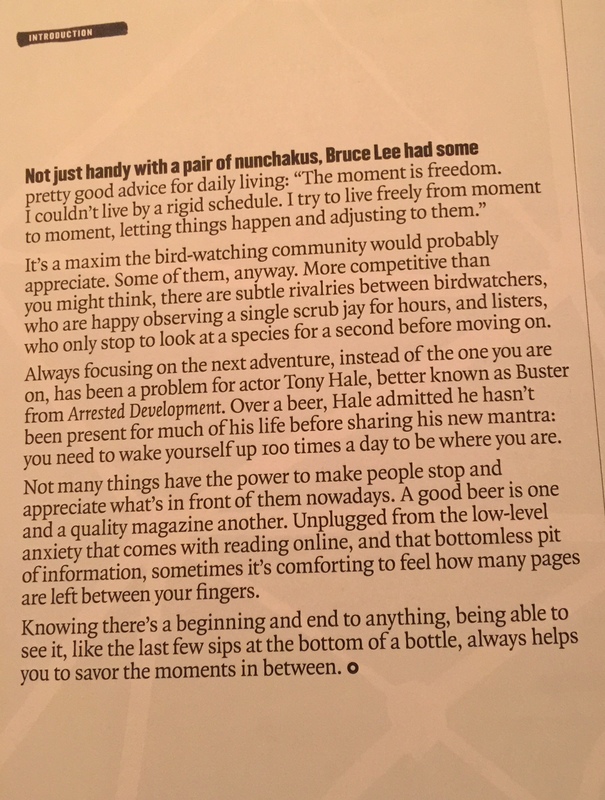 A good beer is one and a quality magazine another. Unplugged from the low-level anxiety that comes with reading online, and that bottomless pit of information, sometimes it’s comforting to feel how many pages are left between your fingers. Knowing there’s a beginning and end to anything, being able to see it, like the last few sips at the bottom of a bottle, always helps you to savor the moments in between. 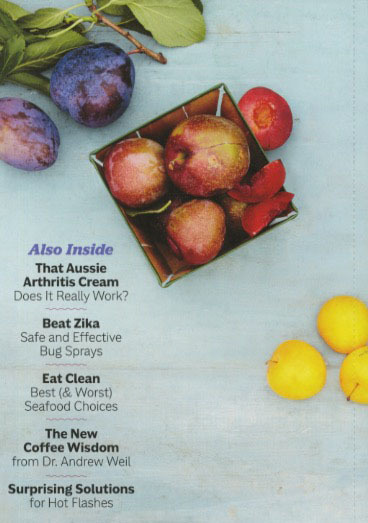 Prevention Magazine’s First Ad-Free Issue: Rodale’s Bold New Vision For A Legacy Favorite – The Mr. Magazine™ Interview With Maria Rodale, CEO and Chairman of Rodale, Inc.
Maria Rodale: Ten Years Of Positive Change & Reinventions. 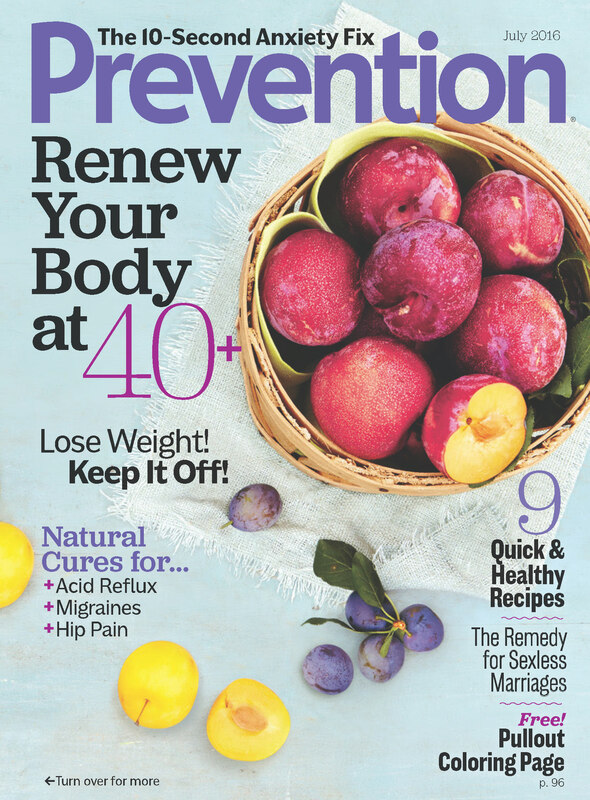 Recognized as the world’s leading healthy lifestyle magazine since its inception in1950, Prevention Magazine has come into its own, so to speak, after over 65 years of positive and motivational content. 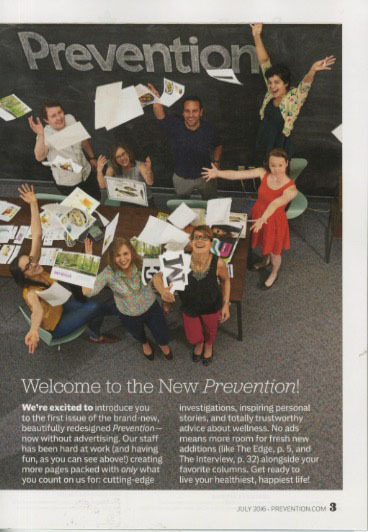 In a bold and organic move, Prevention has published its first ad-free issue with its July edition, which carries no advertising pages, features a daring new editorial vision, new features and formatting, and a more premium look and feel. The first issue will be available June 14 on newsstands. Maria Rodale, CEO and chairman of Rodale Inc., has been at the helm of her grandfather’s business ship for almost a decade now. Maria is a vivacious and determined woman who is adamant about remaining true to her grandfather’s organic lifestyle. She believes strongly in the Rodale name and vision, and is truly over-the-top about this bold change for Prevention. I spoke with Maria recently and between genuine peals of laughter, we discussed the move to an ad-free model and the opportunity to forward the conversation with Prevention’s readers this type of model may offer. Maria feels this frees the editorial content up to delve more deeply into topics of interest for the specifically 40-plus audience the magazine is targeting. She believes the move will broaden the magazine’s appeal to a more diverse audience and deliver a quality magazine that today’s health-minded consumer wants and needs and will be willing to pay for. It was a delightful interview with a delightful lady who knows her organics and her brand. So, I hope that you enjoy this buoyant conversation as you read about a legacy title that’s giving its readers an ounce of Prevention, with a pound of cure for what ails them, the Mr. Magazine™ interview with Maria Rodale, CEO & Chairman, Rodale, Inc.
On whether Rodale is where she wants it to be or there are more changes ahead: I don’t think any of us have the luxury of being done with changes, but I will say that I’m looking forward to making a lot of positive changes. On where the idea for a new ad-free Prevention Magazine came from: I will say that it was the family, starting with my mother, but I had thought about doing this for a long time, maybe 10 or 15 years ago. And it was really about feeling free to write all kinds of stories that maybe wouldn’t be as welcomed in a traditional magazine. On why there wasn’t a written announcement about the new “no advertising” model on the cover of the magazine: We debated about that and we decided that a lot of people like advertising and don’t find it offensive in any way, and all of our other magazines continue to have advertising, so we thought we’d let the content speak for itself. On whether she might be willing to try the “no-ad” model on any of Rodale’s other titles if Prevention succeeds: Each magazine is very unique and lives in a very unique ecosystem. Bicycling magazine, for example, all of the bicycling advertising is a core benefit of the magazine. Readers love it in a very different way than they love advertising in other magazines. So, each magazine has to be looked at on its own. On how interactive the first issue of the new Prevention is and what can be done to make it even more interactive with each following issue: That’s what’s exciting about the future. We are only just beginning with this experiment. That issue was put out, literally, with just a few months’ notice and without the editor in chief in place. On which article in the first issue captured her interest the most: I loved all of the articles, everything from the problem-solving section on acid reflux, to the sunscreen article. I thought the medical marijuana article was both interesting and funny. I love the fact that there’s more humor in the magazine. On which article in this latest issue she thinks they would not have published if there had been advertising in the magazine: I don’t think there is any single article that we wouldn’t have published. We might not have gone as far as we did, in terms of some of our reporting. We might have highlighted things differently, but it’s really a matter of degree and also the whole experience of the magazine now, being a kind of continuous experience. On why Prevention is now specifically focused on the 40-plus demographic: That’s subscriber data and research; it always appeals to our reader when we say 40-plus, because a person’s health issues at 40-plus are different than at 21. They have different concerns and their bodies are different. On whether the “Queen of Organic” as Maria is fondly known is driving the magazine organic as well, by making it stand on its own feet, relying only on its audience for support: Yes, I believe in organic growth, both in the environment, but also in business. There has to be a real healthy support system for any product. And obviously, readers are the most important support system. Based on the feedback that I’ve been getting from when I have announced the move to live audiences or when I post things on Facebook or my blog, people are definitely eager and excited and willing to pay. On whether from this moment forward Rodale will only have positive changes: I read everything that I do as positive change. It’s not always perceived that way, but that’s not my choice or my problem. Everything we do at Rodale is now creating positive change. On how she would briefly sum up the last ten years since she became chairman and CEO of Rodale: In one sentence I would say: radical and positive transformational change during the greatest disruption in history for our industry, and we’ve gotten through it successfully. On anything else she’d like to add: Everyone should subscribe to the new magazine and let us know what you think. Be a part of it. And I’d also just like to acknowledge all of the hard work that goes into creating a really great product. I wrote a blog recently that talked a bit about our research library. And that’s not free; people want good stuff for free, but you can’t do that for very long. And now the lightly edited transcript of the Mr. Magazine™ interview with Maria Rodale, CEO & Chairman, Rodale Inc.
Samir Husni: You’re about to end your first decade as CEO and chairman of Rodale; are you finished with changes? Do you have Rodale where you want it to be now or are there still more changes ahead? Maria Rodale: I don’t think any of us have the luxury of being done with changes, but I will say that I’m looking forward to making a lot of positive changes. Samir Husni: Can you actually have more fun than you’re already having? Samir Husni: (Laughs too). Tell me, where did the “A-ha” moment that told you there should be no ads in Prevention come from? That it was time for a new ad-free Prevention Magazine? Maria Rodale: I will say that it was the family, starting with my mother, but I had thought about doing this for a long time, maybe 10 or 15 years ago. And it was really about feeling free to write all kinds of stories that maybe wouldn’t be as welcomed in a traditional magazine. However, it wasn’t a realistic business decision at that time, but every year it had gotten closer and closer to being possible. And now it’s at the point where it was the best business decision that we could have made. Samir Husni: Why didn’t I see a written announcement about the new “no advertising” model on the cover of the magazine? Maria Rodale: We debated about that and we decided that a lot of people like advertising and don’t find it offensive in any way, and all of our other magazines continue to have advertising, so we thought we’d let the content speak for itself. And those who know and are looking for it will find it and those who don’t know will be surprised. Samir Husni: I love the way the magazine is introduced, with the picture of the staff. I think the new introduction to Prevention captured the essence of what you’re trying to do. Samir Husni: If this “experiment” succeeds; will that tempt you to try the model on any of your other titles, such as Bicycling? Maria Rodale: Each magazine is very unique and lives in a very unique ecosystem. Bicycling magazine, for example, all of the bicycling advertising is a core benefit of the magazine. Readers love it in a very different way than they love advertising in other magazines. So, each magazine has to be looked at on its own. And evaluated based on its very unique business model and its very unique environment in which it lives. And that’s constantly changing, which is why we don’t have the luxury of not changing with it. Samir Husni: With the first issue I noticed that the paper quality is better; the photography shines, and the interactivity is amazing. The idea of having a back cover that you can rip off and color, utilizing that art therapy that is invading the newsstand with all of the adult coloring books; it’s a great idea. You have a big following on Prevention.com; how can you actually make the print edition even more interactive that the attempt you’ve made in this first issue? Maria Rodale: That’s what’s exciting about the future. We are only just beginning with this experiment. That issue was put out, literally, with just a few months’ notice and without the editor in chief in place. Barbara O’Dair has joined and is really excited about continuing the evolution and development of the magazine. And that’s what’s going to make this more fun, to try new things. Samir Husni: I’ve noticed some of the tiny things, such as the masthead where you have women-owned at the top. What’s the reasoning behind those changes? Samir Husni: (Laughs too). We have a saying here in the South: if it’s true it isn’t bragging. Maria Rodale: I loved all of the articles, everything from the problem-solving section on acid reflux, to the sunscreen article. I thought the medical marijuana article was both interesting and funny. I love the fact that there’s more humor in the magazine. As a reader, I found this to be the most interesting and satisfying issue of the magazine that I have ever read. Samir Husni: How do you compare this July issue of Prevention to previous editions? Which article in this latest issue do you feel that you couldn’t have published if you would have had advertising in the magazine? Maria Rodale: I don’t think there is any single article that we wouldn’t have published. We might not have gone as far as we did, in terms of some of our reporting. We might have highlighted things differently, but it’s really a matter of degree and also the whole experience of the magazine now, being a kind of continuous experience. The one thing I will say is that advertisers have always found the Prevention reader older than their ideal demographic. But the Prevention reader is a highly-educated, wonderful woman or man who is at an age where they’re concerned about their health. So, we can now visually celebrate that in a way that we may not have in past issues. Samir Husni: Why specifically the focus on the 40-plus demographic? 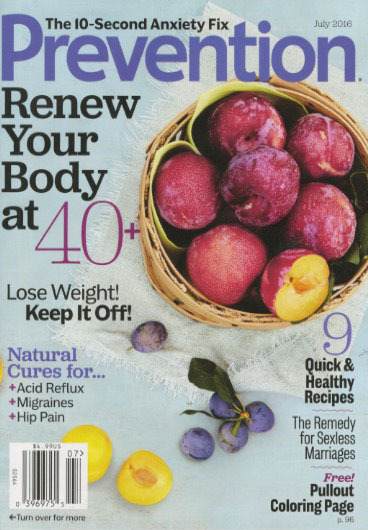 Where other “health” magazines are trying to look and feel younger; Prevention is taking the plunge and saying this is a magazine for the 40-plus age group. Maria Rodale: That’s subscriber data and research; it always appeals to our reader when we say 40-plus, because a person’s health issues at 40-plus are different than at 21. They have different concerns and their bodies are different. There is tons of information out there for a generic audience, but the Prevention reader is a more mature woman or man. Samir Husni: You’re the queen of organic; are you taking Prevention organic, in terms of the business model, by making it stand on its own feet without any support other than its audience? 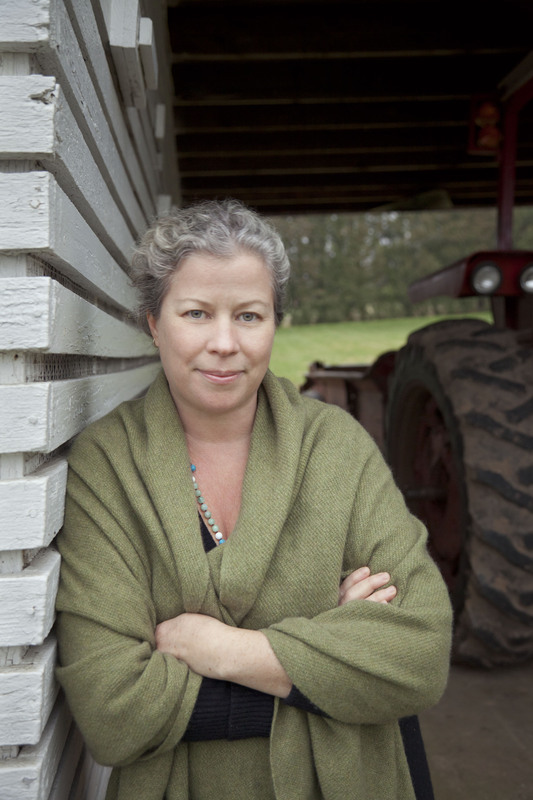 Maria Rodale: Yes, I believe in organic growth, both in the environment, but also in business. There has to be a real healthy support system for any product. And obviously, readers are the most important support system. Based on the feedback that I’ve been getting from when I have announced the move to live audiences or when I post things on Facebook or my blog, people are definitely eager and excited and willing to pay. I hear a lot of people saying that they’re going to subscribe for the first time because this is what they’ve been waiting for. I also have had people tell me that they stopped subscribing because they were sick of having to page through to find the stories, and now they have re-subscribed. So, I do believe that people who are truly interested in health and a healthy, happy life will be willing to pay. It’s basically less than the price of going to a nice restaurant for dinner and it’s going to be worth it. Samir Husni: When I received the issue I took it home with me and if you could see it now, the pages are falling apart. It’s amazing. Just the joy I felt from looking at the pages, it was wonderful. Maria Rodale: Thank you. I think joy is a perfect word for what we’re trying to do. We’re trying to bring the joy back into writing about health. The magazine industry has had a lot of the joy sucked out of it in recent years for a lot of different reasons. Life should be joyful and Prevention can help you find that. Samir Husni: Rodale has had its fair share of media coverage lately, whether positive or negative. Is the company finally at the stage that from this moment forward we’re only going to hear about positive changes? And have you reached the size at Rodale that you want? Maria Rodale: I read everything that I do as positive change. It’s not always perceived that way, but that’s not my choice or my problem. Everything we do at Rodale is now creating positive change. And that photo of our staff in the introduction is literally right outside of my office door and I walk pass that table every day. I love being close to that team and seeing what’s happening. There’s a lot of joy in everything that we do. And every decision I make is about creating positive change. Samir Husni: How would you briefly sum up the last ten years since you became chairman and CEO of Rodale? Maria Rodale: In one sentence I would say: radical and positive transformational change during the greatest disruption in history for our industry, and we’ve gotten through it successfully. When I go home at the end of the day and I’m surrounded by my family and my organic garden and my comfortable couch, I’m just grateful for the gift that was given to our family, that we’ve inherited and that we are stewards of. I’m grateful for all of the employees and the contributors and our customers and the people who have stood by us and who believe in us. And I’m very grateful to our friends who are a part of this transformational journey. Maria Rodale: I’m just very grateful to everyone. 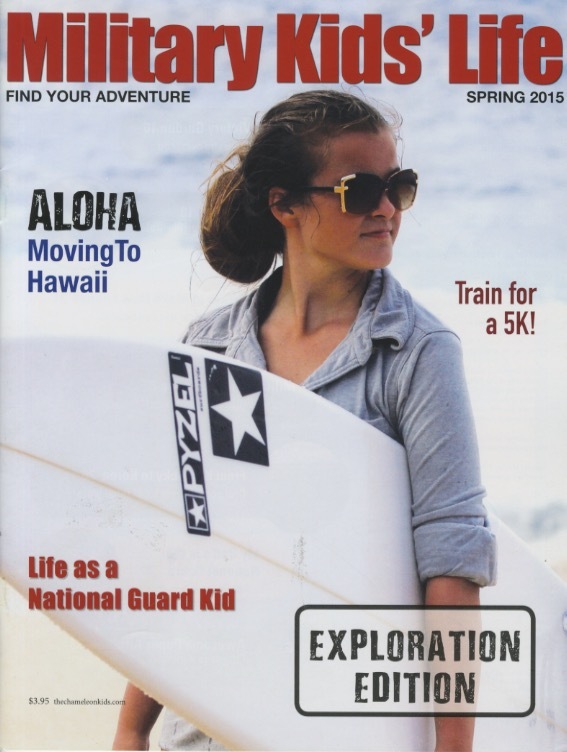 Maria Rodale: Everyone should subscribe to the new magazine and let us know what you think. Be a part of it. And I’d also just like to acknowledge all of the hard work that goes into creating a really great product. I wrote a blog recently that talked a bit about our research library. And that’s not free; people want good stuff for free, but you can’t do that for very long. And if you want quality you have to support the people who are educated and experienced to bring quality and we hope and believe and have faith that people will value and trust this information to the point that they will support it and support us and support our libraries. Samir Husni: That’s the beauty of print. It’s that surprise that comes when you least expect it, such as the interview you did in this first issue with Maye Musk. I didn’t know anything about her or that I would be reading an interview with her. It’s that element of surprise. Then I started flipping through the pages and found all of the great articles. That element of surprise that print brings is great. And that’s why people will pay for the magazine, the addictiveness and the trusted information. Maria Rodale: We hope readers will subscribe and see for themselves. One Night Stand; Love Affair; Marriage – What Kind of Relationship Do You Have With Your Print Audience? Lately, I have been traveling all over the country and the world in general, preaching about the role of print in a digital age for two reasons: (1) I do believe in the future of print and that print is here to stay on a permanent basis, and (2) I do believe that the role of print is changing, that we cannot have the same “old” print that we had before the digital age. Everything evolves and changes, that’s a given. 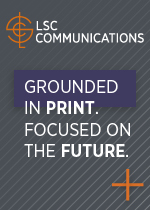 However, some of the fundamentals are not going to change, whether you publish a weekly magazine, a monthly magazine, or a quarterly publication; there are some things that are inherent in the definition of print that will never cease. The number one trait that will always remain is: if it’s not ink on paper, it is not a magazine. It can be many platforms if it isn’t ink on paper, because there are many platforms, but it cannot be a magazine. We have to be careful about what we define as a magazine. Having said that, I want to explain what I believe the role of print is in this digital age, but to do that we need to understand the nature of magazines and their continued relationship with their audience. We need to recognize the types of magazines that exist in the marketplace today and look at the number of new magazines that are arriving on a daily basis. And of course, we need to acknowledge the principles of creating a magazine that will also never change, among them being that the foundation of that creation, which includes content, design, curation, innovation; all of the things that have been a part of magazine making for years, is still very much alive and kicking. The way that I classify the relationship between a magazine and its audience is really very simple. I am a firm believer that one of the most important things when it comes to building and sustaining that relationship is knowing your audience and putting them first, not the platform. Not print first, not digital first; audience first. That is paramount to the success of any publication. And that is not just lip-service or words to fill up a page on my blog. That is truth. Without our audiences, we have no reason to exist. When it comes to magazines or print in general, we create this relationship with our audience, unlike any other entity. That relationship can be one of three types: a one night stand; a love affair; or a marriage. Print as a whole has a broad spectrum of entities, from a 700 page hard-bound book to a 36 page magazine and each one of those entities has a different relationship with their audience. For example, my grandson developed a love affair with the “Harry Potter” brand. So, he read all of the books that were out there, from Book One all the way to the current end of the series. Once the books are completed, he may watch the movies, and once the movies are under his belt, that love affair will fade and he’ll move on to something else. And so it goes with our magazine audience. “I love how he (Mr. Magazine™) categorizes magazines; he uses love relationships as categories. “Magazines that are published based on a milestone, key event or a person. Life Magazine usually does a great job of publishing one-night stands. 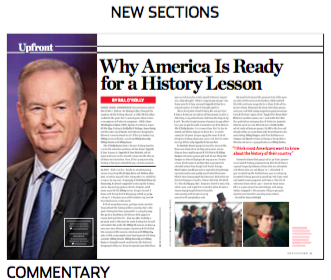 They have published special editions or tributes for “Princess Diana”, “John F. Kennedy”, “Ronald Reagan”, “Queen Elizabeth II’s Golden Jubilee” and “WWII 60th Anniversary.” These types of magazines need to be timely to entice readers into a one-night stand. “People will buy magazines for a short period of time based on key decisions in their lives. The best examples are wedding-planning, pregnancy preparation and travel. Brides-to-be will purchase bridal magazines when they start planning their wedding and shopping for a dress. Parents-to-be will purchase parenting and baby-related magazines to get ready for their first-borns. When the wedding is over, the baby is born; they are no longer interested in the magazine as if a love affair lost its fire and passion. The relationship that you develop with your audience is the cornerstone of everything that we do. The moment the world lost Prince, and more recently, Muhammad Ali, one-night stands were formed. Epic specials on deceased celebrities and sports figures are synonymous with the one-night stand because they are timely at that moment and extremely important to fans of the artist. Everything that we create today has to be built upon those three cornerstones: one-night stand, love affair, or marriage. And the old adage: “There is nothing new under the sun” can now be sent to its final resting place, because in reality in today’s digital world, there are a lot of new things under the sun. Groundbreakers: The magazines that are singular and there is nothing else like them, such as when Woman’s World was created. There was no weekly women’s magazine for American women when it hit the newsstands that had the rapid change of a non-news magazine on a weekly basis. It takes creativity and determination, and it takes being a weekly to keep that link between addictiveness and disposability with your audience in every issue. Copycats: The group of magazines that come based on the success of other magazines. These magazines are created by people who basically sniff out the prosperity of other magazines that are very similar, but feel they have a different take on the subject matter. In so many cases, the copycats can end up being better than the original publications. With all the hunting and self-defense magazines out there, here comes a magazine like Recoil that sets itself apart from everything else on the marketplace. Suddenly, you have an upscale looking and upscale feeling magazine that treats guns as a lifestyle, rather than just a special interest. And you target the lifestyle of the gun owner, instead of the gun per se, without putting the weaponry aside. So, some copycats can be even more significant and successful than the groundbreakers. Cheap Imitators: Companies and publishers that are in the business just to ride on the coattails of the successful magazines. The Food Network magazine is flourishing; suddenly, you start seeing an influx of food and celebrity magazines, or food and travel; just any combination of the successful titles out there on the newsstand just to imitate it and be a mirror image of those magazines, hoping that the Groundbreakers and the Copycats will establish an audience big enough, that even if you’re a cheap imitation, you can cash in on the overflow. 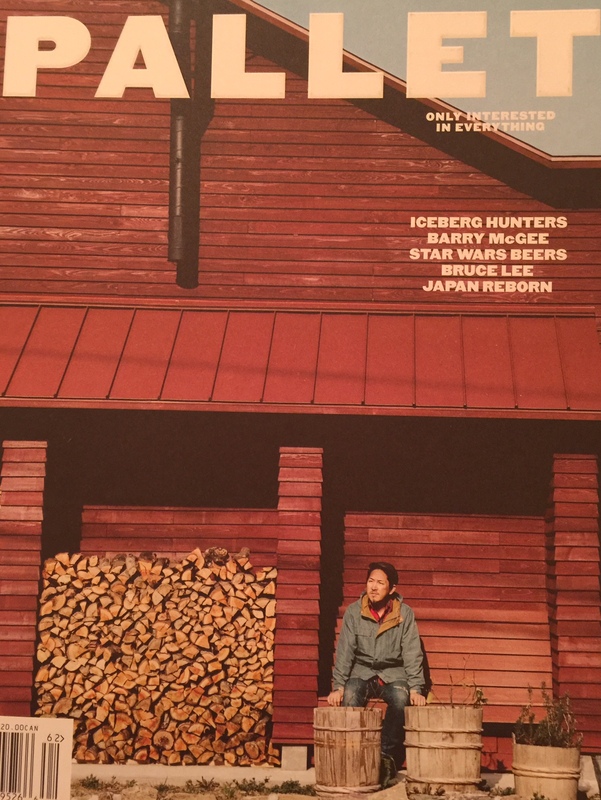 Groundbreaker like Pallet Magazine – one that joins great articles with the setting of craft beer. So, if you look at the numbers there is no slow down. If you look at the topics; how many times can one publish a magazine on the big, beautiful woman, yet in May, there was a brand new title called, FabUplus. These new magazines believe they may have found a new twist on a well-used subject. Over time people forget the older titles, those that came and went before one can remember, so there’s always a new audience, a new churning taking place. And if anyone doubts the future of print in this digital age? All they have to do is look at all of the digital-only entities that are discovering, and have already discovered, the power and substance of print. Entities such as Net-A-Porter, WebMD, Sneaker News, and Posi+tive have all established a foothold in the printed word because no media company today can afford to be omni-platform in today’s marketplace; they must be multiplatform. You’re creating a brand, not just a new magazine. And that’s very important to remember. Are you launching a brand or a singular title? Because nowadays you have to be in the branding business with the printed magazine as your cornerstone, if you’re going to survive into the future. Technology has changed everything, even printing. I just returned from a visit to Trend Offset Printing. They have introduced the first web Canon inkjet printing press. And it was amazing. The quality, personalization and the speed were unbelievable. And the quantities. Printing is making it easier to launch new magazines. No printer will throw you out of the facilities if you tell them you want 5,000 copies or 10, 000 copies because in today’s world, those quantities are no problem. And remember, magazines are much more than just content-providers. Magazines are experience makers. Excellent writing, reporting and photography are still just as important today as they were generations ago. Magazines have a great future, if executed properly. Ideas are a dime a dozen; it’s the execution of the idea that counts, and will produce either a one-night stand, a love affair, or a long-lasting relationship. Recently I tweeted that the words news and paper together are an oxymoron; you can’t chase news on paper anymore, it just isn’t possible in today’s digital age. Some of my friends in the newspaper industry were not happy with my tweeted description and thought that I went a bit overboard in criticizing the newspaper. With that in mind, let me tell you what I really think about newspapers and their printed future. I am a firm believer that today more than ever we need papers; printed papers; we need them to read like weeklies on a daily basis, unless their frequency is already weekly, and then we need to call them by that moniker. I refuse to call them “news” papers because I really believe that the word newspaper is an oxymoron. In today’s world, there is no way that you can have news, actual breaking news, on paper. But does that mean that we have no need for papers anymore? No need for that printed product that comes curated, edited, well-thought-out, designed, and arrives on my doorstep or in my mailbox on a regular basis? We absolutely do need that product and I’ll tell you why. People may say that it’s a matter of semantics, but for the sake of the digital natives who have grown up getting all of their news from their smartphones or their tablets; we owe it to them as journalists to go beyond the soundbites. We owe it to them to go beyond the news and to try and curate and present the necessary information that will have an impact on their daily life. While yes, it was a tragedy and two people were dead, was that journalism at its best? What image of journalism are those cable channels promoting or teaching our audience about the value and necessity of journalism. 24-hour news is the biggest disservice to news ever invented. We don’t have more news, but everything now is breaking news. Go figure. Every time I sit down and watch TV I’m reminded of that necessity for true and good journalism and papers. The necessity of somebody who takes the time to digest, analyze and think of that content before spewing it out there. Our future isn’t to be automated bits and pieces such as you find on television and smartphones. We have to start treating journalism as a serious matter. We have to start treating journalism as an issue that begins with proper education as to what journalism really is and how true journalism can touch lives and impact people. Someone may not know that they need to read about a certain story, but those surprises that journalists bring can be exciting and very impactful and in-your-face. Journalism is important. Journalism, especially in print, must be much more than mere soundbites or those lazy days of summer where the story goes on and on indefinitely, only at the end of the day to discover there is no real story with definitive facts. For people who doubt that there is a future for the daily paper, they need to think again, because there is nothing like a good paper, one that provides you with all of the needed, wanted, and desired information that a well-curated paper can deliver to you. Digital natives have grown up getting their news from smartphones or tablets. Digital immigrants have joined the natives in getting their news from smartphones or 24-hour cable channels. This is a given. However, both are also not oblivious to the printed word either. Certainly, most are capable of appreciating a reputable source when they see one. We owe it to our audience as journalists to open their minds and show them what true journalism is. We do that by going beyond what they’re used to receiving from the bits and pieces that materialize on their phones. If they’ve never had it, they don’t know what they’re missing. And for those who had it, they know that they don’t want yesterday’s news in today’s paper. Both have heard the news already. So, it’s up to us to show them. And that’s why papers are still so very important and also why I’m advocating for the removal of the word news from newspaper. We must start referring to our publications as daily or weekly papers, because it’s not the “news” that defines our paper, it’s the content and the information within. By the time papers get the story to print, the world has known about it for hours if not days. Therefore the term “no news is good news” makes even more sense. I believe for any paper to succeed today it must have: (1) In depth, investigative reporting; (2) It must have in depth interviews that avoid the soundbites such as the type we see on television, but instead, go behind-the-scenes and explain to people what’s really going on. Who is the real person and what are they doing or thinking and how does that impact our lives? (3) There must also be great photography. Nothing replaces a picture in print, even if the quality of the paper isn’t the best; people love to see images, their own and others, in the paper. Unless of course, they’re on the country’s most wanted list, then they might defer. A good paper is one that realizes the reader knows what happened yesterday; knows what happened thirty minutes ago, but they don’t know how it may impact their lives or their family’s lives or their futures. That’s what a good paper does on a daily or a weekly basis. It bridges the gap between yesterday and tomorrow with in depth information that has impact. Call it the 48 hours bridge for the daily and the seven days bridge for the weekly. So, before you give up on papers in general, pardon me while I give up on news on paper instead. And join me in redefining papers as daily or weekly entities. It’s not too late, but by the same token, we can’t wait one more hour to transform them into what they need to be in order to not only survive, but thrive. No one waits on the paper for news anymore. Let’s accept that as fact. The minute the powers-that-be at papers start thinking differently and redefining what papers are is the moment that they’ll suddenly see the paper in a whole new light. Then the stratosphere is the limit when it comes to engagement with your audience. So, do me a favor today; stop thinking about your product as a “news” paper and just think about it as a daily or weekly entity. Then your entire concept of what needs to be in that paper is going to change. You are currently browsing the Mr. Magazine blog archives for June, 2016.